If a movie that co-starred Sylvester Stallone and Arnold Schwarzenegger hit screens in 1988, it would’ve been a major release. In 2013? Not so much. That year’s Escape Plan made little dent at the box office, as it earned a mere $25 million at the US box office. Stallone and Schwarzenegger had already appeared together via the Expendables movies, so maybe those have audiences enough of the two – or maybe Plan just didn’t appeal to potential viewers. As one who grew up during the actors’ 1980s peak, though, there’s still a charge to be found from the muscle-bound duo in the same film. Ray Breslin (Stallone) works as an expert on security, and he does so as a fake inmate: Ray becomes voluntarily “incarcerated” to test prison defenses. Ray agrees to ply his trade at a new, super-max facility called “The Tomb”, but he finds himself double-crossed and imprisoned for real. With no fallback, he needs to execute an actual breakout, and Ray pairs with inmate Emil Rottmayer (Schwarzenegger) to do so. Earlier I noted that if Plan had come out in the 1980s, it probably would’ve been a big deal. That’s mainly because Stallone and Schwarzenegger lost a lot of star power over the decades, but it’s also because Plan feels like a movie from that earlier era. While no one stays on top forever, I suspect Schwarzenegger and Stallone faded from “A”-list status because they didn’t adapt. Both tried to some degree, as they took on occasional projects that challenged stereotypical images of themselves, but both mainly relied on movies that stayed in their established wheelhouse and they didn’t change with the times. The Expendables series showed money can be made from a sense of nostalgia for the meat-headed action flicks of the 1980s, so I can understand why Plan would follow that template. Nonetheless, its essential lack of recognition that cinema changed between 1993 and 2013 hampers it. In theory, Plan sounds promising, as it portends a 21st century update on an old theme. The “prison break” genre goes back a long way, and the movie’s high-tech twist threatens to make it enjoyable. Unfortunately, Plan feels like its creators thought up the basic plot and didn’t bother to go beyond that. Whatever optimism the concept brings quickly evaporates due to the decidedly lackluster execution. Beyond the core story idea and the novelty of the Stallone/Schwarzenegger pairing, Plan comes with little to make it intriguing. This becomes a sluggish, ham-fisted action flick without real inspiration or creativity. 115 minutes seems a bit long for such a simple tale, and Plan uses that space poorly. The film drags and rarely threatens to spark to life. While the 80s kid in me takes some pleasure from the Stallone/Schwarzenegger duo, they lack chemistry and connection. Though they don’t fare terribly in their shared scenes, they don’t partner in a way that adds to the movie beyond the aforementioned novelty. Escape Plan becomes an action thriller without satisfying action or compelling thrills. It delivers a meat and potatoes 1980s throwback without the creativity or energy it needs to prosper. 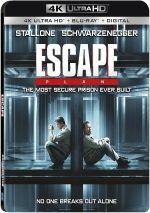 Escape Plan appears in an aspect ratio of approximately 2.40:1 on this Blu-ray Disc. Across the board, the transfer looked good. Sharpness was fine. A little softness occurred in some wide shots, but those didn’t become a concern, so overall definition seemed solid. In terms of palette, Plan opted for colors that veered toward teal and amber. Given the somber prison setting, it kept these subdued, and the disc reproduced them as intended. As for the film’s DTS-HD MA 7.1 soundtrack, it added breadth to the experience. The movie didn’t deliver a consistently rock-em-sock-em soundscape, but it managed to open up well. The disc comes with a few extras, and these begin with an audio commentary from director Mikael Håfström and co-writer Miles Chapman. Both sit together for this running, screen-specific look at the project’s roots and story/characters, sets and locations, cast and performances, stunts and effects, music, editing and related topics. Though never great, this becomes a largely good commentary. At times they tend to simply narrate the story, but they manage to throw out more than enough filmmaking information to turn this into a worthwhile listen. Three featurettes follow, and these start with Executing the Plan. It goes for 22 minutes, 13 seconds and offers notes from Chapman, Håfström, producers Kevin King-Templeton, Randall Emmett and Mark Canton, location manager Elston Howard, and actors Sylvester Stallone, Arnold Schwarzenegger, and Jim Caviezel. “Plan” looks at the film’s path to the screen, cast and performances, how Håfström came to the project and his impact on the production, sets and locations, stunts and action, and some character areas. “Plan” lacks much depth but it becomes a competent overview. Maximum Security lasts 21 minutes, 57 seconds and features Criminal Justice Professor Dr. Connie Ireland, former prison warden Jim Bruton, architects BJ Meder, Steve Wagner, Frank Cuomo and Lawrence Goldberg, Social Welfare Professor Jorja Leap, Criminology and Law Assistant Professor Keramet Reiter, security technologist and author Bruce Schneier, and corrections officer Brent Kowitz. “Security” discusses the history of prisons and aspects of how they work. It brings us a tight, informative examination of the subject. Finally, Clash of the Titans spans 15 minutes, 34 seconds with notes from Schwarzenegger, Stallone, King-Templeton, Chapman, Caviezel, Håfström, stunt coordinator Noon Orsatti, and actors Curtis “50 Cent” Jackson and Amy Ryan. “Clash” covers the pairing of Sly and Arnold, and it turns into a fairly fluffy view of the actors. It’s not terrible but it lacks much substance. 11 Deleted Scenes fill a total of eight minutes, 13 seconds. As that running time implies, these tend to offer brief tidbits. While I can’t claim any of them add a lot, we find some decent additions, mainly the ones that expand on narrative areas or secondary characters. The scenes don’t seem crucial but they offer useful info much of the time. The disc opens with ads for Divergent, The Last Stand, Dredd and Expendables 2. No trailer for Escape Plan appears here. 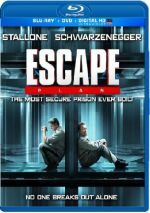 Lovers of 1980s action cinema will thrill to the sight of Sylvester Stallone and Arnold Schwarzenegger on-screen together, but that novelty exists as the only appealing aspect of Escape Plan. The movie moves slowly and never turns into a satisfying experience. 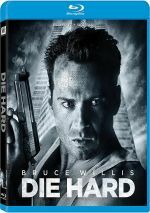 The Blu-ray boasts generally solid picture and audio along with a decent set of bonus materials. This becomes a thoroughly mediocre action flick.